rockeys duo, taking its name from the majestic Rocky Mountains of Canada, is a unique collaboration between harpsichordist Katelyn Clark (Montréal) and pianist Luciane Cardassi (Banff). Exploring the unexpected combination of piano, harpsichord and electronics, the duo seeks to discover the possibilities of their keyboard instruments through performance, improvisation, and commissioning new works. After meeting at the Banff Centre during several artist residencies, the duo gradually took shape through the performance of Louis Andriessen’s Dubbelspoor. 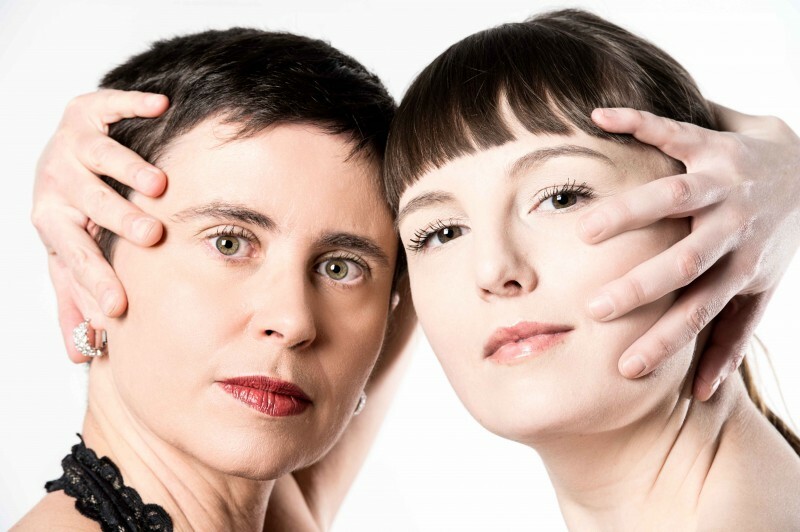 This successful collaboration led to the duo’s current project of commissioning a series of new works for harpsichord, piano and electronics by Canadian composers, including Brocade by Linda Catlin Smith, funded through the Canada Council for the Arts. Pianist Luciane Cardassi is a noted performer of new music who regularly premiers works by emerging and established composers from around the world. She earned a doctorate in contemporary music performance from the University of California, San Diego. The main focus of Luciane’s work for twenty years has been collaborations with composers. Since moving to Canada in 2006, she has already premiered more than 30 solo works by Canadian composers, in addition to new works by composers from Brazil, USA and Europe. In 2010, she developed a concert program, “Going North”, with new works for piano, pianist voice, electronics and video by Canadian and Brazilian composers. This first cycle of “Going North” was well received by audiences in Canada, Brazil and the UK and in January 2013 Luciane premiered “Going North 2”. Luciane lives in Banff, Canada. She is the pianist of the “Rubbing Stone Ensemble”, from Calgary. Her artistic practice has been generously funded by the Alberta Foundation for the Arts, Canada Council for the Arts, CAPES Brazil Foundation and The Banff Centre. Canadian harpsichordist Katelyn Clark specializes in the performance of historical repertoire and experimental music on early keyboard instruments. As a soloist and ensemble musician, she has performed in Europe, the USA, and Canada, and has appeared at such diverse festivals as the Vancouver New Music Festival and the Festival Medièval d’Elx. An active performer and commissioner of new works for harpsichord and other early keyboards, Katelyn has premiered over 100 solo and chamber works, including recent compositions by Linda Catlin Smith, Tawnie Olson, and Anna Pidgorna. A native of Victoria, British Columbia, Katelyn studied with many of Canada’s early music pedagogues and completed a master’s degree in harpsichord and basso continuo with Bob van Asperen at the Amsterdam Conservatory in The Netherlands. While in Amsterdam, she learned contemporary harpsichord repertoire with the late Annelie de Man. Katelyn also studied with Christophe Rousset at the Accademia Musicale Chigiana in Siena, Italy, holds a master’s degree in music from the University of Victoria, and a doctorate in performance from McGill University, advised by Hank Knox and Tom Beghin. Katelyn has been an artist in residence at the Banff Centre, NES in Iceland, Artscape on Toronto Island, and was a fellow at OMI in the USA. Her artistic study and practice have been generously supported by the Canada Council for the Arts, The BC Arts Council, Le Conseil des arts et des lettres du Québec, The Banff Centre, and the Early Music Society of the Islands.